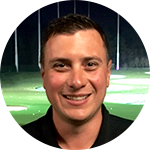 David began his career with Topgolf in April 2016 at Topgolf Alpharetta. As the Lead Instructor, he provides golf instruction to people of all ages and ability. He is also responsible for day to day operations including junior programs, lessons and tournament operations. Born in Virginia, David moved to Georgia at the age of 8. He played High school golf and then went on to study and play at the Golf Academy of the South in Orlando, Florida where he graduated. At the Golf Academy, David was taught by PGA Professionals on how to teach the game of golf, all aspects of business management and strategies in operations of the golf business. His expert knowledge of the game comes from 17 years of experience in the golf industry. His passion and desire come from teaching the game of golf to others and watching them achieve their goals. If your ready to take some strokes off your game or just picking up a club for the first time, go ahead and schedule a lesson with David today. Summer has been immersed in the golf industry for nearly 30 years and has worked with juniors, new players, touring pros, and special needs students. 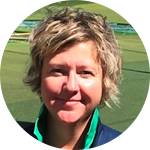 Her straightforward, uncomplicated teaching style is built on the scaffolding of the LPGA idea of a Student-Centered Swing Model and draws from her playing experience as well as her background in psychological studies. Born in the small town of Cuthbert, Georgia, Summer Sirmons started playing golf at the age of twelve. Summer quickly advanced to a high level in State and National Tournaments that earned her a full athletic scholarship to The University of Georgia. While there, she was a member of the 2001 NCAA Championship Team, collected two individual titles, was selected as a member of the US Japan Cup, and was a 3 time All-American. After joining the LPGA Teaching and Coaching Division in 2009, Summer continued her teaching education by becoming a Certified US Kids Instructor and a member of Positive Coaching Alliance. Summer is passionate about sharing the game of golf with others, and she specializes in helping people get more enjoyment from their golfing experience.